I love these! Since my moms live too far to send them a cake, I think I'll put the bunting on the front of a card. Thanks Karen! So awesome! This is super cute and fun…I just love it! 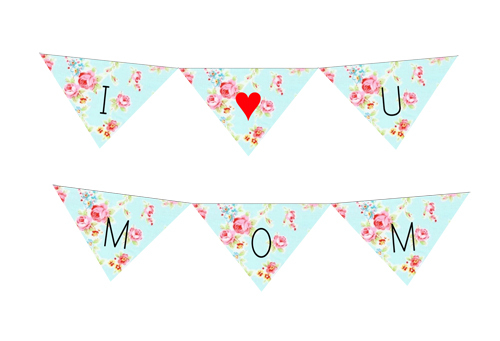 And how funny that I will be posting a printable bunting template today or tomorrow too! Seriously! Keren…I am telling you girl! BBFF's! Love every thing you create! Keren, thanks for letting me do this with you! I had so much fun, and you sure know how to make my pictures look pretty. You have aptly named your blog. Just wanted to say thank you for another free cute printable. I wanted to let you know that I have featured this post on TheREdPolkaDot. I love your site. Have a great day! Thank you for the awesome project! I am sharing your blog on my post today! 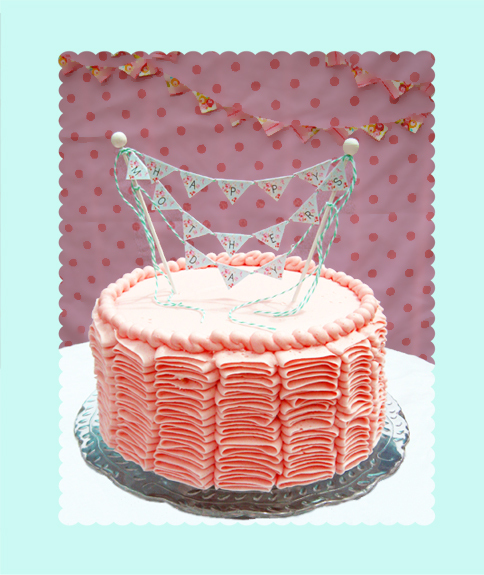 I just love the bunting with the lace…so incredibly adorable! Thanks for sharing! This is SO DARN CUTE!!!!!! I just wish I could edit it to say "Happy Birthday" for my daughters 21st birthday next week. 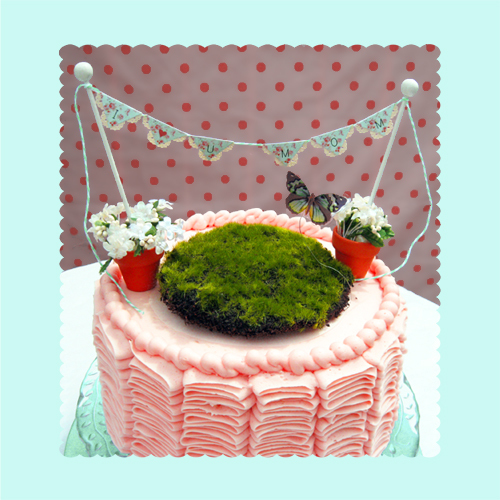 So excited to make this cake adapted along with your darling floral fabric swag for her special day. This blog is so much fun!